Staff misuse – usually through unawareness – of the ‘cc’ and bcc’ options when emailing can lead to a six-figure fine and significant reputation damage. Training fixes unawareness. The new Human Patch e-learning course, ‘Misuse of Cc and Bcc when emailing’, is now available for from industry expert GRC eLearning. This ten-minute, interactive course educates participants on the risks and consequences of misusing the Cc and Bcc fields when emailing, and teaches them how to communicate securely and legally with large numbers of people. 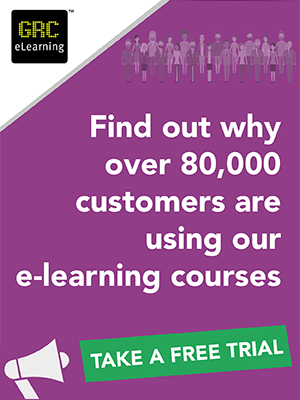 With organisations focusing more on staff training than ever before, GRC eLearning offers the very best e-learning solutions available, including courses on the EU General Data Protection Regulation (GDPR), phishing and ransomware, the Payment Card Industry Data Security Standard (PCI DSS) and information security staff awareness. Educating staff helps organisations reduce the risk of suffering a data breach. Misuse of Cc and Bcc when emailing is a non-technical course suitable for all employees who need to be aware of misusing these email fields. It explains how to send personal information via email in accordance with the GDPR and the Data Protection Act 2018, and the consequences of data breaches which, for data subjects can be embarrassing and upsetting and, for data controllers, trigger very large punitive fines. What if you forget to use Bcc? 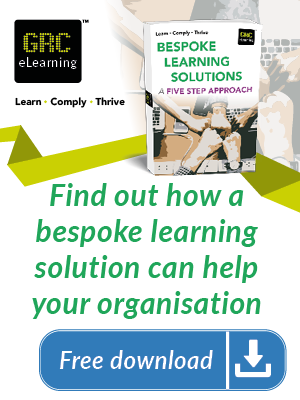 GRC eLearning Ltd (www.grcelearning.com) is incorporated in the United Kingdom and helps organisations source, deploy and/or integrate an appropriate mix of staff awareness solutions that focus on cyber security, data protection, legal compliance and management standards such as ISO/IEC 27001.